Designboom published one of our latest designs: a collaborative effort between Matthijs la Roi Architects and BART//BRATKE. 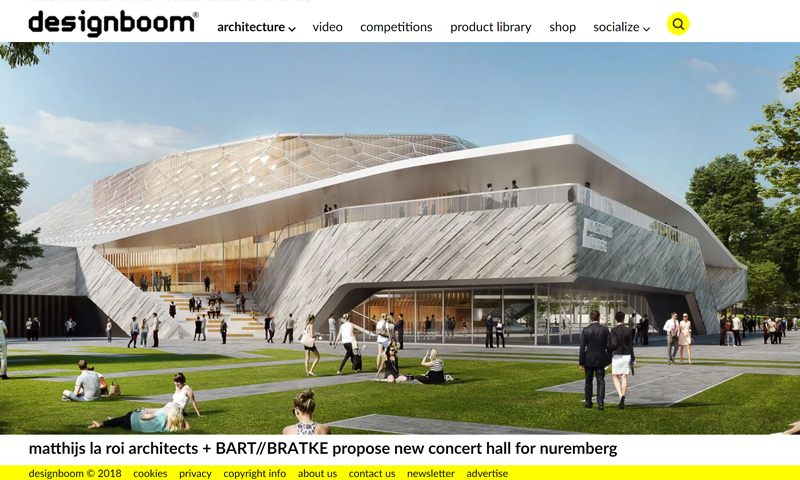 The design for the new Nuremberg Concert Hall extends the historically rich heritage of the adjacent Meistersingerhalle and enriches the cultural city of Nuremberg with a unique musical experience in which music and space become one. Based on Nuremberg’s landmark, the duality of its the twin castles, two buildings side by side create a synergetic connection to a coherent unity. Connected in a symbolic ‘band’, a circulating podium made of natural stone links the ensemble.